It's a bad day to be Hitachi Automotive Systems, Mitsubishi Electric or one of several other Japanese automotive parts suppliers. Nine companies today were hit with a combined $740 million in fines as part of a wide-ranging price fixing scheme, and their executives are headed to prison. The U.S. Department of Justice today announced that nine Japan-based companies and two executives have agreed to plead guilty and to pay more than $740 million in criminal fines. The two execs will serve prison time. Officials say the companies conspired to fix the prices of more than 30 different parts sold to U.S. car manufacturers, including starter motors, alternators, and ignition coils. Those parts were sold to the Detroit Big Three, as well as Japanese automakers with operations in the U.S. like Toyota, Nissan and Subaru. 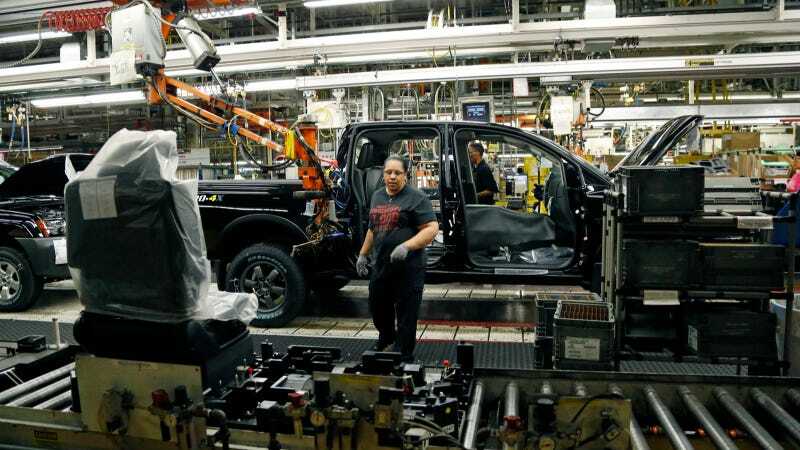 The parts manufacturers who took the plea were Hitachi Automotive Systems, Mitsubishi Electric, Mitsubishi Heavy Industries, Mitsuba, Jtek, NSK, T.RAD, Valeo Japan, and Yamashita Rubber, USA Today reports. U.S. Attorney General Eric Holder said the investigation was a wide-ranging one, and including the companies who agreed to plea guilty today, 20 companies and 21 executives have been charged since 2011. In total, they have agreed to pay a combined $1.6 billion in fines, and 17 executives have been sentenced to prison.